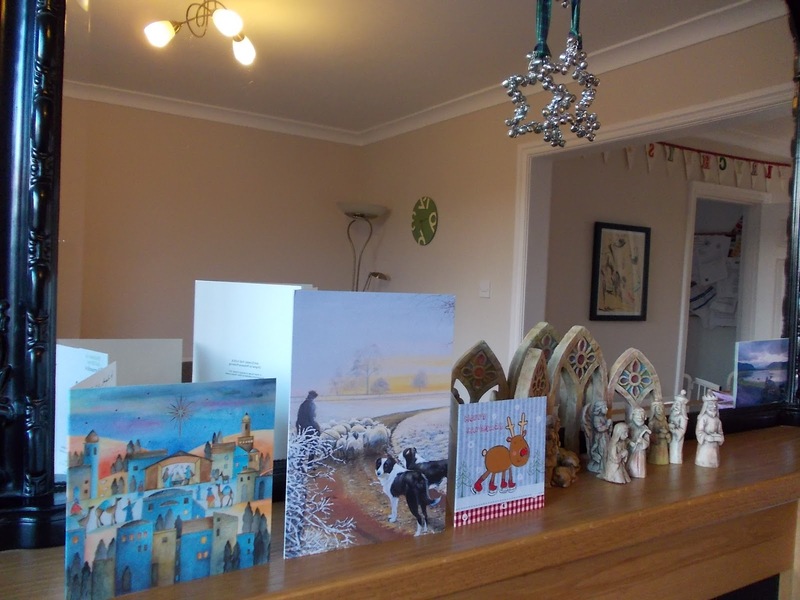 Just About Surviving Being Me: Christmas - What's All That About? Christmas - What's All That About? Christmas is on its way. I know this because my school choir has finally nailed their first performance, the only serious hiccups coming courtesy of my over reliance on technology. Meanwhile in class it's all about Advent and the associated preparation. My Teaching Assistant has done a superb job of draping the displays with all manor of sparkly things and the piano in the hall is beautifully decorated with evergreen and fairy lights. Oh yeah, and I'm crying at the outcomes of the end of term assessments. What could be more festive than that? Of course, it's been Christmas outside school and for rather longer. Christmas markets have been springing up everywhere since Halloween and the National Trust have been selling Christmas since September over at Fountains Abbey. Perhaps it's the emerging grumpy old man in me but I really do feel there is way too much Christmas, that it goes on for far too long and this is helped by the need of shops to use it to maximize sales. That's not a criticism, just an observation. I'm trying to avoid criticism these days. At the same time, I've been amongst those who feel it's a shame that materialism seems to push Christ further and further out of his own birthday each year. Even in a chuch school, I hear far more discussion of Santa and what he brings to the table than I do about the Baby Jesus. Thank God this hasn't happened to Holy Week. Again, this isn't criticism of anyone but seen though my eyes, it's sad when you stop to think about it whereupon there is an easy assumption to make: that consumerism is responsible for pushing Christ out of Christmas as people satisfy their natural instinct to indulge and spend at Christmas. I'm getting there now so don't just give up just yet. This morning, my regular Saturday morning coffee guy spontaneously gave me his take with the added flamboyant gesticulation that only a true Italian could get away with. Now he's a bit like me when it comes to the extent to which he gets excited about Christmas. You can tell from the fact that the token Christmas decoration in his cafe consists of a single 90cm synthetic tree with non flashing fairy lights and a few evenly spaced baubles. 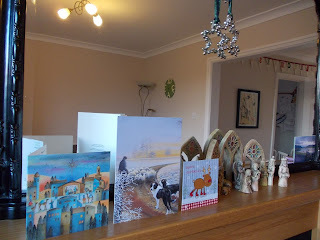 There are also some Christmas cards neatly placed about the tree, one of which bears some vague reference to the original meaning of Christmas. He's not, as far as I can tell, a man of any particular faith. I've been buying my Saturday Morning coffee from him for years because he is great with the kids and makes my latte exactly the way I want it, every time, without fail. That's hard to find. Stefano is more than just a small businessman though. He's lived in this country for a while though well travelled is married (I think) to and English woman and has done a few jobs. Seven days a week he is in his cafe and five of them he opens it. The man knows all his customers well, not only in terms of their coffee preferences but also their personal interests, life story and so on. You only get that when you get people talking. So, even though I don't tend to go about talking to anyone who will listen about what happened to the Baby Jesus, he caught me on it. Stefano's take is simply that consumerism doesn't push Jesus out, it is simply filling the gap. As society is less and less Christian (remembering that whatever it is now, this was a Christian country), they naturally leave Christ out. He thinks that they feel guilty because they have enjoyed Christmas without, 'going to church,' so they spend to compensate. Within his flowing, almost musical lecture, Stefano even took the time to define compensation as money paid to make a wrong thing right. "That's why charities get so much money at Christmas," he offered as proof along with two steaming perfectly made coffees to go. Is he right? Heck! How should I know? All I know for sure is that once again I've proof I'm in no place to judge because I'm once again guilty of make assumptions. I'll try and remember that next time I look at my mantle piece and wonder why only a third of the Christmas cards mention the opening scenes of the greatest story ever told (in my opinion).